These salmon pockets taste so good! Enjoy the classic French taste of salmon, zesty lemon, olive oil and herbs all gently and slowly cooked to lock in the flavour. 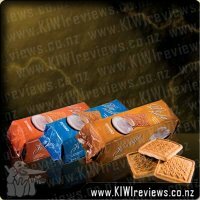 They are ready to eat so are ideal for picnics and other occasions when you want to have good food with the minimum of fuss. These pockets are low in sugar, high in protein, and a good source of omega-3. I have had the pleasure of tasting some of the other flavours in this range so I thought I had nothing to lose by giving this one a go. 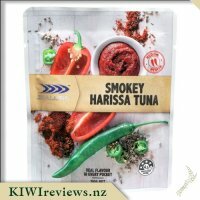 I need some quick easy lunch ideas for work and I seriously need something that is filling as I find I&apos;m starving by morning tea and again at lunch time. Since I don&apos;t have the luxury of a full kitchen at work I had this the same way I would eat it at work, just opened the packet and grabbed a fork and tried it. I hated it, the taste was overpowering (I don&apos;t say that often) and it wasn&apos;t pleasant to eat and it left a very unpleasant side effect. I wasn&apos;t happy with the after taste every time I burped and my tummy felt like I was going to be sick, in fact I cancelled plans for the next day it was that unpleasant. I did let my mum and my daughter have a forkful each, both said it wasn&apos;t tasty and that they didn&apos;t enjoy it. The rest of the family refused a taste. 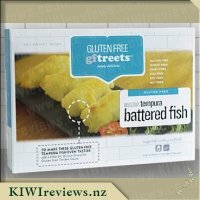 The packet makes it sound really nice and fresh but I found it a bit strong (I like lemon and fish). I&apos;m so glad that I got to try this during the holidays as it would be a rather unpleasant experience for my work mates to witness. I was keen to try this salmon pocket as it looked like a lovely fresh flavour on the packet. I took it to work to have for lunch (on toast). I have always enjoyed fish on toast but usually it has been tinned fish. The quantity in the pouch was perfect for a filling lunch as it covered two bits of toast well. I was surprised there was more juice than I expected but it never said it was in sauce so actually that makes sense and I just left it in the pouch as I spooned out the contents. This did leave a bit of product in the pouch which was sad but I think it might have just been that I was hungry and it smelt great and I didn&apos;t want to miss a morsel. The smell was great - very lemony and herby. I liked the flavour but it did come across so strong it was hard to identify which fish was under it all. 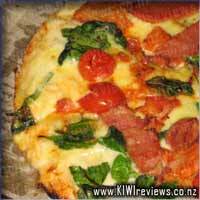 The texture was great for me as it wasn&apos;t too dry and it tasted amazing. 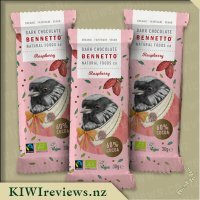 I thought the flavour was perfect for the description and I loved the rich fresh taste which is perfect for spring. The whole pouch and contents looked a bit smaller than I expected and there were less chunks than I would have hoped for but I will buy another one to check it wasn&apos;t that this one got pushed to the back of the cupboard and then put in my bag. Portion wise it was perfect and very filling for one and if you added some salad you could definitely get lunch for two. In future I will remember not to squish the packet in the bottom of a bag and it will be a great low thought, great flavour meal or snack in a pinch. I took the Lemon and Dill Salmon Pocket to work with me for lunch. I made me a green salad of lettuce, cucumber and capsicum to go with it. I added no dressing to my salad as I thought the salmon would have enough own juices to be a dressing as well and I was right. I poured the pocket out over my salad and was happy with the amount of juice that came out, I found it was not a oily based juice either, it more watery and had the flavours too. One thing I noticed was capers, and many of them which at first I was thinking oh no, but I actually enjoyed them and I found they did not over power the flavour. The taste of lemon was amazing and I really enjoyed the little bits of added flavours. I love the packet and the colourful effect of the pictures on the pocket, which got several work mates around the lunch table asking about the salmon pocket as they had not seen it before. 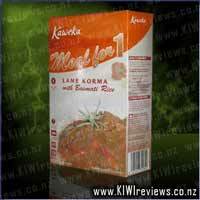 I let my work mate try a bit and she really enjoyed it and asked where I had got it from, I mentioned about KIWIreviews and she was interested to hear more. She mentioned she was going to look for it next time she was at the supermarket and also see what other flavours there were. 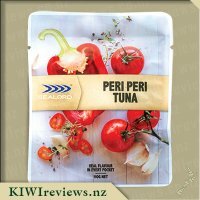 The price for the pockets are reasonable for a quick snack and this flavour would go well with many options like cheese and crackers, salads, on toast, on a sandwich or straight from the pocket. I am looking forward to trying the other flavour I have to review. 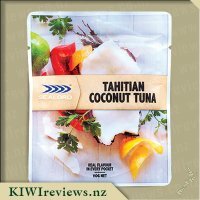 I normally eat a lot of tinned tuna so it is nice to try new and different things and great to mix up my lunch ideas. Sealord pockets have started becoming a hit in this household with my partner and the kids. We love being able to review pockets before buying them to find what is liked and what isnt liked. This pocket with the lemon and dill salmon was tried by the partner, he enjoyed it but did say it was very much lemon, you could taste a bit of dill salmon but mainly lemon was what hit him. He isn&apos;t really a lemon fan so this threw him a little, so added the pocket to some noddles and enjoyed it that way saying the lemon again was still too strong. 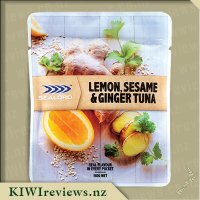 As much as he liked the easy go lucky pocket and it would be perfect for work or home as a snack, the lemon flavour put him off as it was way too strong. He would be happy to serve it up at a BBQ for crackers as others might like more of the lemon flavour, afterall everyone has different taste buds. Again the price for one of these is good, and you get a good amount in the pockets so nice and affordable for those on a budget to serve to other guest or eat on your own. I eat a lot of tinned fish products with rice for my lunches at work as I don&apos;t like the idea of sandwiches. I&apos;m really fussy with flavoured fish as I can&apos;t stand the taste of most of them and preferred basic flavour combinations where I can actually taste the fish product I&apos;m eating but really wanted to try another flavour without having to buy it and waste it by not liking it. 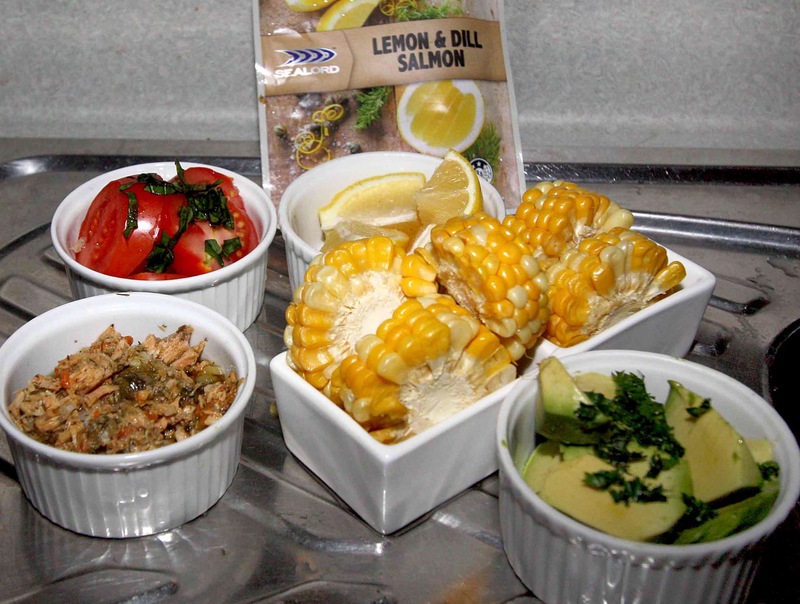 I saw the Sealord Lemon and Dill salmon pockets and thought I would love to try this as salmon is my favourite. I decided to do this with my rice for lunch at work the next day. Upon opening and inspecting the product I was surprised to see little bits of salmon (for some reason I was expecting large flakes) but there was also capsicum, carrot, onion, capers, garlic, tarragon on top of the lemon and dill. I was quite excited as I thought man this is going to taste amazing. Unfortunately, I didn&apos;t like it. The capsicum and lemon overpowered the taste of salmon, I could only get through half my lunch before I had to stop as couldn&apos;t stomach any more. 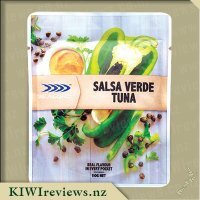 I do however recommend this product for those who do love flavoured tinned fish products. I think Sealords product is of very good quality. 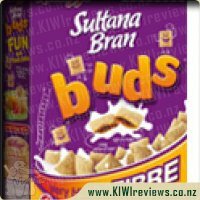 The packaging is really good quality with a easy to tear open pack and the design is very appealing and eye catching in a supermarket shelf full of similar products. The price is great and is very comparable with similar products. When I was young my family life always involved water, don&apos;t get me wrong though, while we played in it, boated on it, ate from it and admired it we were all awful swimmers which led to great chagrin from our close friends. I remember accompanying my Grandad over the river bank in our small town and we just fished together, he must have had a patience of a saint putting up with me for hours, but the reward was worth it - SALMON!! My favourite seafood, I just love it. I have always liked Sealord products and I have often bought their small canned tuna sensations for my lunch, so this Lemon & Dill Salmon pouch looked right up my alley. The pouch is a good size at 100g, and with its tear open easy top it would make it a no mess way to squeeze onto my favourite salad for lunch. I checked the back of the pouch and I was pleased to see that all the ingredients were all things I&apos;ve heard of and with no added preservatives! I opened the Salmon and the smell was really nice, you could smell the lemon and dill but they werent overpowering and the salmon smelt really good. I decided to eat it straight from the packet and the combinations of flavours were just fantastic! So moreish and it make me wonder if I could create something with this salmon and after a bit of thinking I came up with the idea of a salmon cheese ball. We were having some friends over for dinner that night, so I went and bought some cream cheese and chopped up some gherkins, and added the remaining 70g (I&apos;d eaten the rest) of Lemon & Dill Salmon to the mix. I rolled the mix into a mixture of parsley and dill I had in the pantry and served the salmon ball with rice crackers. Well, what a hit! Our guests loved the ball, with everyone commenting on the amazing taste! I explained how easy it was to make and they said it would be their next go to accompaniment to the next dinner party they go too! I love this Lemon & Dill Salmon and I especially like that I can buy it well ahead and store in my pantry for when needed. 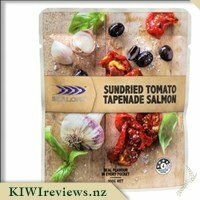 I recommend to anyone who enjoys seafood to buy these sealord pouches because they are great with such awesome flavours to boot! Some days are hard to think what you are going to have for lunch, or dinner. As humans I think we get bored with the same things over and over. 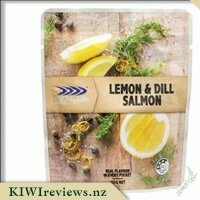 When KIWIreviews sent me this Sealord Lemon and Dill Salmon package to try, I was absolutely delighted and could not wait .... but it was hard to decide what to use it for first - so many ideas came to mind. The packaging for this product is great - very clear and concise - showing exactly what is going to be in this little pouch of goodness. The picture on the front is appealing and eye catching, begging you to pick it up. Flipping it over, the ingredients are all listed there, making it easy if you need to check for something. The package is a good size of 100g, providing a decent serve if you choose to eat it all in one sitting, like I may... okay, like I DID do. The packaging is easy to open, no issues tearing through it. Making it resealable could be a good option eliminating the need to put it into another container. On to the product - I could almost sum it up in 2 words - ABSOLUTELY DIVINE!! There is nothing I would change about the Lemon and Dill Salmon. Sealord - you have hit the nail (or the fish?!) on the head with this delightful packet - and I have already bought more. It has the right combination or flavours - lemon and dill, with neither being overpowering. It has just the right amount of seasoning, and smells as good as it tastes. While I was making my pasta to stir it through (I decided on the easiest, quickest option) , I could not resist but try it on a couple of crackers.... then had to restrain myself from gobbling it all. Thank-you Sealord - winner in my book, and a GREAT product! While heating the wrap in the microwave I noticed the Sealord packet that it had come in and saw the words &apos;real flavour in every packet&apos; which I tend to agree with as even just that small cracker I could taste the variety it had to offer and my mouth was drooling ready to have the explosion of flavour again. I flipped the packet over and noticed the storage directions said &apos;once open, refrigerate and consume within 3 days&apos; and honestly I don&apos;t think the packet would last for three days, I happily ate it in one sitting. I ripped the sad looking lettuce up and spooned the rest of the ingredients from the packet on to my wrap and sat down excited to try my new meal. It was great!! Fill of flavour and while I was enjoying every bite I noticed my cat had jumped up on the bench and had his paw in the packet trying to get the left overs on the cover out. I am not sure he would of enjoyed the olive oil and herbs but he was definitely enjoying the fishy smell. This is such a versatile dish it could easily be made into a salad or just having it on the wrap works perfectly well also. I am sure it would probably taste just as good on its own in a bowl. The price is fantastic and where as I am not usually a fan of Salmon I could happily eat again. 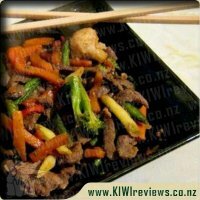 I love anything that is fast and ready to eat practically straight away and this fits that description perfectly. 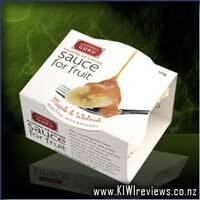 This is one of the newest products from Sealord and it is set to become my favourite in their pocket range. I tried to find something wrong with it, but I was stumped - on every level it is a winner. The price is great, the portions are just the right size, and the taste is nothing short of superb. I think the combination of dill, lemon and salmon is a stroke of genius: you can taste all three ingredients because they complement one another while maintaining their separate identities. We were having friends around so I made up some bowls with various hors d&apos;oeuvres to serve with a cracker selection. Everyone tasted the salmon, and not one person said it was not to their taste: every single person asked what it was as they would like to go and buy some too. You don&apos;t usually get that amount of agreement in a group; there is always one person who dislikes the taste - but no, there was not one dissenter! The only complaint was from the friend who went back for another cracker-and-salmon and found that it was all gone. Next day I was able to get another packet - I wanted to try it out in a souffle as dill goes really well with eggs, and I thought it would be interesting to see what would happen if I mixed in the contents of the salmon pocket. I had to restrain myself from simply eating the salmon and making the souffle without it, but that would be cheating so I dutifully folded the entire contents into the egg mixture and set it in the oven. While it was cooking, I made a Greek salad and chopped a French loaf into wedges - souffles, as everyone knows, have to be served immediately or they collapse. The souffle was just as successful as the hors d&apos;oeuvres had been the day before. I was sorry I had not made two because three of us demolished it in no time. Mr 12, who was one of the tasters, does not usually like fish but he really liked this version. He told me he would have eaten three times as much if he could - well, we all know about 12-year-old boys and how bottomless they are because they are growing so fast. But his older sister agreed - she could have eaten more too. And I have to admit it, so could I. So next time I will buy two packets of salmon and make two quiches. Why not? It has to be good for you!